crafting with katie: It's Your Day! 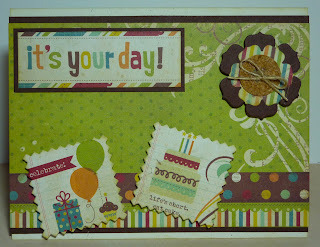 Today I have a fun birthday card to share that I made using the Simple Stories Happy Day 6 x 6 Paper Pad. It's an A2 sized card, so the cream base is 8 1/2" x 5 1/2", scored at 1 1/4". 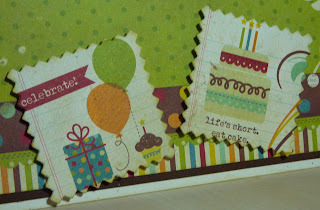 The brown layer is cut at 5 1/2" x 4", and the green polka dot paper is 5 1/2" x 3 3/4". I also added a 5 1/2" x 1 1/4" border across the bottom. I die cut these cute little images using the fabric swatch die from the Papertrey Ink Button Card Collection and inked around the edges with some Chai ink. For my sentiment, I just trimmed one of the many "cards" included in the paper pack and mounted it on brown cardstock. 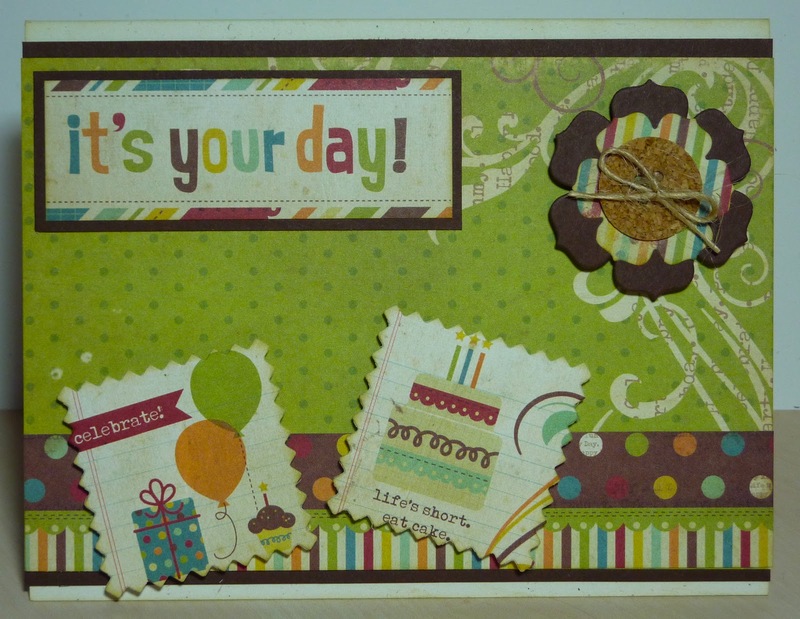 The flowers were made with the Papertrey Ink Beautiful Blooms II #1 Die Collection. I added a cork button made with the PTI Buttoned Up #1 Dies. Super cute and love all the different elements. Very cute card and such clear details. I'd been thinking about getting that PTI Button Card die set--I think you sold me!! Wow! The detail is amazing! Great project! 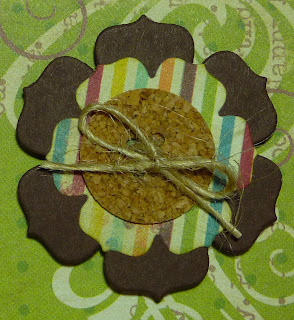 Super cute card.. love how u used cork for the inside of the flower..
What a great project! So cheery! And I love the flower..it's given me a great idea!!! Katie ~ What a FABULOUS card! I LOVE how the papers and the concept of this ENTIRE card! Liz is so right! I LOVE that die too! I might have that! As always you are so creative!